FAMED and much loved fireboat MASSEY SHAW has returned to London. The oft-delayed return to the capital finally happened this morning with the fireboat making the journey from Avonmouth on a low loader lorry. Shortly after midday she was craned in to the West India Dock from Wood Wharf and towed across to the Docklands Scout Project. Thanks to Heritage Lottery funded she has been completed restored in Gloucester and she looks set to be the star attraction at next month's boat show. 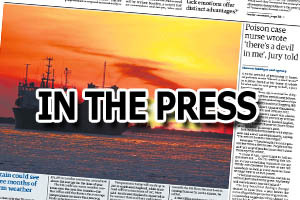 The fireboat, built in 1935 and known for her role fighting fires during the Blitz and for helping to evacuate troops from Dunkirk, will then become a floating museum in the Royal Docks. 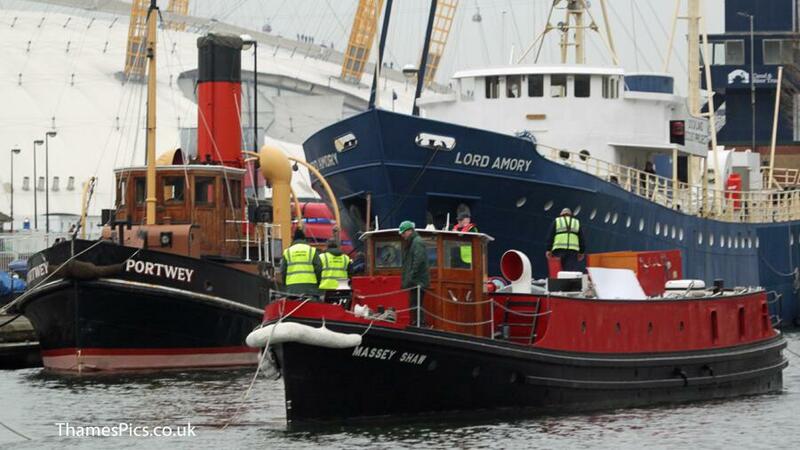 Massey Shaw seen here with the heritage tug Portwey and the Dockland Scout Project's Lord Amory.